Restore waterproof fabrics, spray on, and leave or heat activate. Applies a breatheable waterproof layer to fabrics. For best results, wash garment with MaxGEE ProWash prior to treatment. 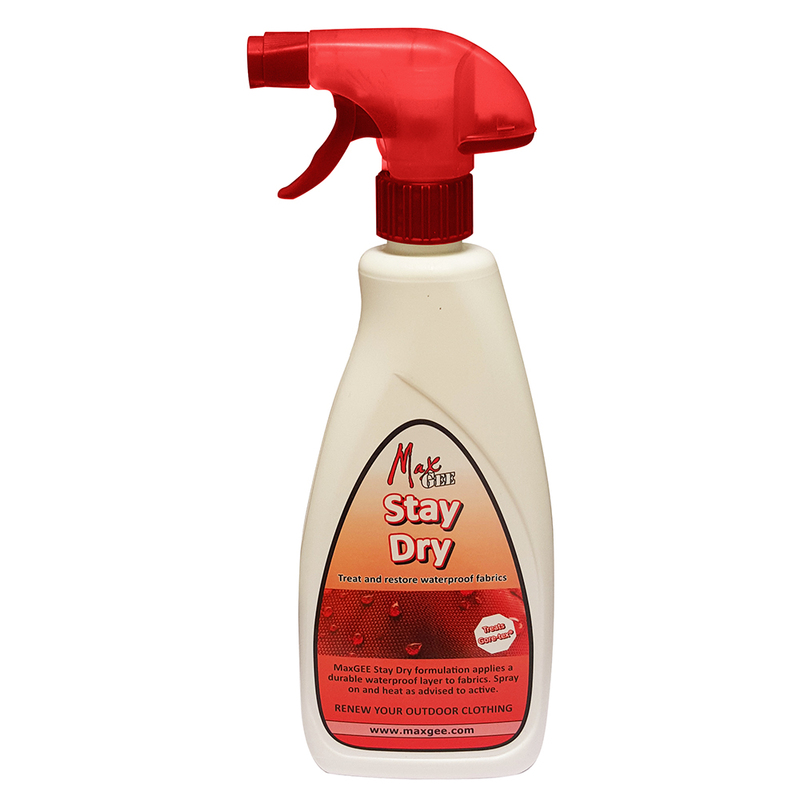 Shake bottle well, apply to a wet or damp garment, spray evenly from a distance of 10cm to 15cm, until the garment is thoroughly soaked, spreading with a damp cloth if required. If garment allows, tumble dry on hlaf heat for a quicker finish, or allow to drip dry naturally.